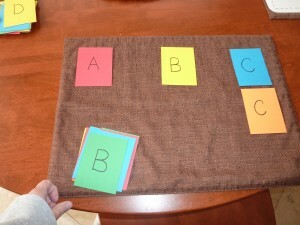 This is another really basic station activity to reinforce letter recognition. 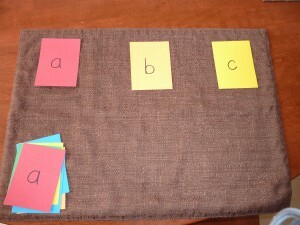 I love to use the concept of sorting because it gives a lot of reinforcement in a short amount of time. 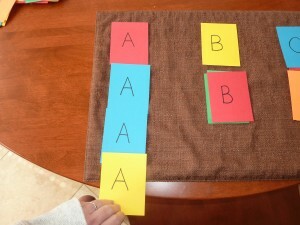 If you are looking for something more challenging, it could also be done with word families, words with common vowel patterns, or beginning blends. 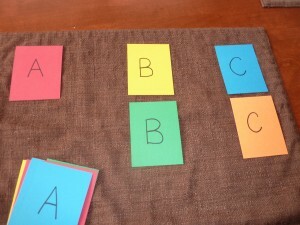 I took some colored index cards, cut them in half and wrote the letters I wanted to work on. I made 4 cards per letter and shuffled them up so they wouldn’t be in order. That is it! 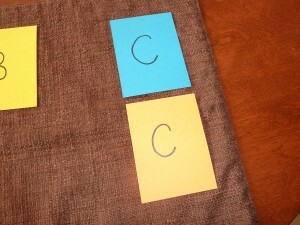 At the station, the child will pick a card, identify the letter and match it up with the letter that is the same. 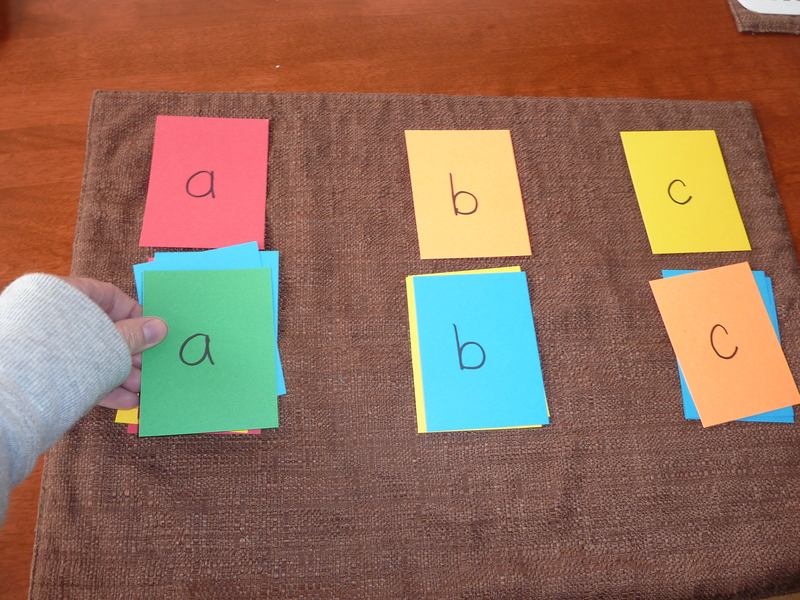 These cards can be mixed and matched with others later on to create very specific sorts depending on letters that may confuse them, especially with lowercase letters like “b” and “d”! 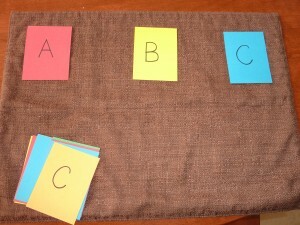 A station activity really can be this basic while building and reinforcing literacy skills. 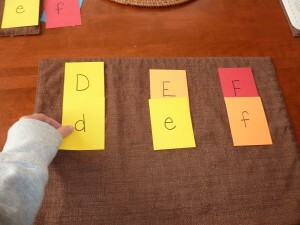 Just think about what your child needs to work on (letters, vowel patterns, or word families they need more exposure to) and see for yourself how easy it is to make a sort to reinforce it.